Two-channel audio recorder. 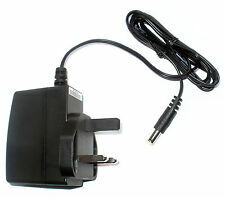 Stereo ⅛" Mic/Line In mini phone jack with Plug-in power (2.5V). 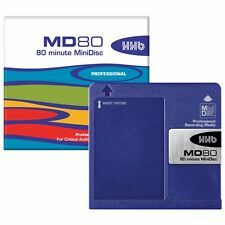 Records directly to micro SD and SDHC cards up to 32 GB. Sound marker function that outputs quick tone to make syncing audio and video easy. The HD24 is fully working and OK condition for it's age. Which is plenty for most needs unless you're a prog rock outfit with a full orchestra. Digital: 24-channel I/O via 3 ADAT Optical inputs and 3 ADAT Optical outputs. TASCAM DR-40 V2 Version 2 Linear PCM Recorder (Like New In Box). Bought around six months ago and never ended up using it. Like new in box with SD card and included cables. Shipped with USPS Priority Mail. Connects to any JamHub studio through the remote port to capture all 7 stereo sections. Record more rehearsals and gigs this year! Sale price until we run out. Tascam portastudio in great working condition, with original mains adapter also instruction manual. Great sounds and lots of fun. Includes CD burner. Will be well packaged. Fostex D-5 Digital Master Recorder ~ DAT D5 ~ NICE. Condition is Used. Shipped with Standard Shipping. Will ship quickly and pack securely. Feel free to ask any questions! Thanks! Defekte, auch wenn sie unwahrscheinlich sind, können trotzdem nicht ausgeschlossen werden. Sechs bespielte Mini-Discs gibt es dazu. This unit was barely used. The foam on the headphones is missing but they work fine or easily replaced. AVGear looks forward to assisting you with your audio/visual needs! Microphone filtering and limiter. Why buy from AvGear?. XLR (48V) microphone inputs. TheDRP-1 Rackmount Digital Audio Recorder fromGemini is a standalone digital recorder that provides high-quality recording and playback in a slim design. Line-level outputs let you send audio to a mixer, speaker system, etc. Technics Digital Audio Tape Deck SV-DA10. Works, had very little use, had from new (used to copy dat tape singles for small label). An estate sale find. All knobs and bars are present and move smoothly. Previously owned by a music teacher. Built-in insert effects processor. S/PDIF digital optical output. RCA line output. Built-in reverb processor. This Tascam DA-30 MKII Professional DAT Recorder is Faulty. It powers on but then displays Error 01. If you have the know how to get this machine back working then this is ideal for you. Dual recorder design allows for independent recording/playback on each side. - Delete recorded files directly from recorder. The smartly designed SU-200R has many useful features, yet is incredibly quick and easy to use. The body structure, soft-touch keys and dials are designed specifically to help eliminate handling noise. 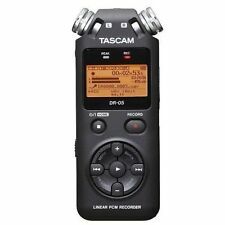 Tascam DR-60D LPCM recorder/mixer for DSLR filmmaking. TASCAM's award winning DR-60D is the new audio recording solution for on-set filmmakers and videographers using DSLR's. Tascam 414mkII Portastudio 4-track Multitrack Master Cassette Recorder . Condition is Used but in perfect working order. I bought this brand new years ago and only used it for about 2 months. It's sat in a drawer until recently and I've been using it as a small mixing board. Everything functions perfectly and the tape deck probably has less than 2 hours of use on it. Feel free to ask any questions before you bid. Analog Cassette Player Recorder. Power cord. Tascam Porta 05 High Speed Ministudio. The lightweight Porta 05 HS would be great for an artist to throw their ideas into or a producer looking for an easy. This unit has been thoroughly tested and everything is working as it should. Tascam MF-P01 Portastudio. Excellent used condition. Powers on and all functions appear to work. A short recording was made from a cassette player and seems to be fine. I am not an expert, but I don't expect you will have any problems. DOD Real Time Audio Analyzer (RTA) Series II - Clean - Works! DOD Real Time Audio Analyzer (RTA) Series II - Clean - Works!. Condition is Used. Shipped with USPS Priority Mail. 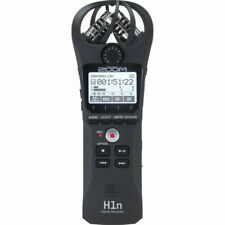 Zoom H4n portable handheld digital audio recorder. 100% working condition. Recorder, case, 4GB SD card included. Functions well. And the manual isn't available for download that I'm aware of. The original Ross case allows you to easily take it anywhere. This is a gem. These units are not like the Fostex or Tascam recorders that would follow. Er ist klein genug für die Jackentasche, enthält aber insgesamt drei Geräte! Der BR-80 ist ein vollausgestattetes 8-Spur Digital Studio mit einer extra Drum-Stereospur und fantastischen Effekten für Gitarre, Bass, Vocals und Mastering. Unit powers on, rewinds, FFWD’S, and pauses as it should. Unsure if it this unit has an internal speaker if it doesn’t work. For sale is a used Sony CDR-W33 CD recorder/player. Tested to power up and play audio. Unable to test recording function. SUPERSCOPE PSD300/U1B CD RECORDING SYSTEM. Condition is Used. Cord included, no box. CD burner has not been tested. OLYMPUS LS - 100, Multi Track Linear PCM Recorder, mit ausgew. MwSt. Der Verkauf von Gelegenheiten unterliegt gem. Ausgestattet mit einem hochqualitativen Verstärkerkreis. Netzteil, Tasche. 4GB interner Speicher und SD Kartenfach. Über 135 Jahre Fotohaus Preim und kein bisschen verstaubt. 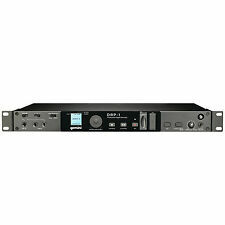 Sony PCM-M10/R Digital Multi Track Recorder. Shipped with USPS Priority Mail. Recorder is in full working condition. Various signs of wear are present on the unit. Battery cover is loose as a clip has broken off. Sony PCM-M10/R Digital Multi Track Recorder. Used but in almost new condition, except for one minor scratch on side (last photo). Shipped with USPS Priority Mail. And Improved. - THE ZOOM H4N PRO - Record cleaner, clearer, and closer than ever before. With the new H4n Pro, Zoom has taken everything creators love about the H4n and brought it to the next level. Zoom SSH-6 M/S Microphone Module & SKB Case for H6 Recorder - Complete your Kit! Zoom SSH-6 & SKB Case. 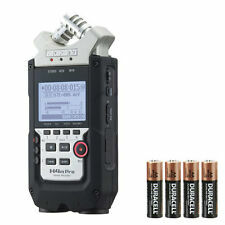 Zoom H5 or H6 Handy Recorders. It is my personal. for completing your H6 kit if you already own the core components. It is a stereo mid-side shotgun module compatiblewith. The shotgun slot is designed for the shorter shotgun module. Tascam DP-004 Digital Multi Track Recorder. Condition is Used. Shipped with USPS Priority Mail. Comes with a 1GB sd card and ac power adapter. In great working condition. TASCAM DR-22 WL Portable Recorder Wi-Fi For WAV BWF MP3 microSD SDHC SDXC. Used only a couple of times. Missing micro usb cable. Has manual, original receipt, 64gb microSD. Shipped with USPS Priority Mail. For example, we chose the NE5532 for the operational amplifier, which has a strong effect on audio quality. Recording at resolutions up to 96 kHz/24 bit is supported. With its two built-in microphones, the DR-70D is instantly ready for use in standard situations. Condition is Used. Note that this product is no longer in production. 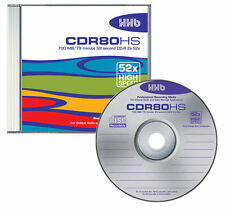 Similar capabilities can be found in the VS-1824CD 24-bit Digital Studio Workstation. 24-bit MT Pro Recording Mode for massive headroom and dynamic range—a first in its class. The built-in mixer includes everything you need for a professional-sounding mix, from EQ and reverb to amp simulation and multi-band mastering effects. TASCAM DP-24SD. 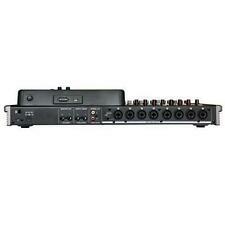 Eight XLR mic/line inputs each provide phantom power for condenser microphones, switchable in banks of four. The Masterlink ML-9600 is an amazing two-track hard disc recorder, state-of-the-art, do-it-yourself mixing and mastering system. It was never used. A USB port is also provided for transferring files to your computer.The recorder has balanced XLR and unbalanced RCA inputs, allowing you to connect mixers, music players, and other audio devices.